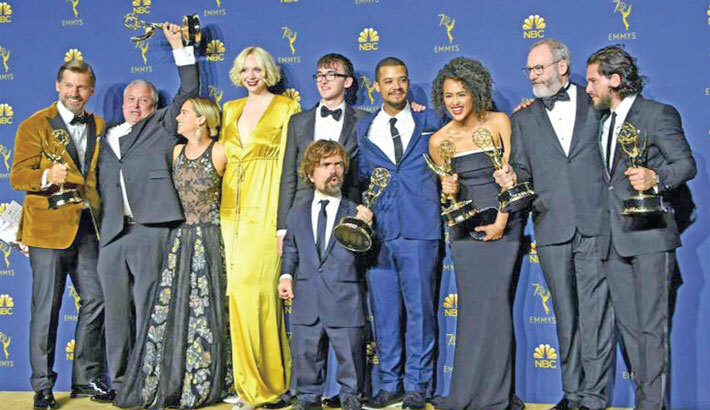 The Emmy Awards, television’s biggest night, provided plenty of surprises—from an onstage marriage proposal to trophies for several fan favorites—but viewers simply did not tune in, with the three-hour show plummeting to all-time low ratings, reports AFP. NBC tried to put a brave face on the data, noting that audiences for this year’s Oscars and Grammys were down by wider margins. But it was difficult to spin the figures—ESPN’s Monday Night Football broadcast earned higher ratings in metered markets. And the new host combo of “Saturday Night Live” stars Colin Jost and Michael Che did not seem to win over new fans. The big winners at the Emmys were HBO’s fantasy epic “Game of Thrones,” which was named best drama series, and Amazon’s breakout comedy “The Marvelous Mrs Maisel,” which won eight statuettes overall.